A ladies deep sea green scarf in a beautiful rich colour with irregular sea green patch detail and a long spaced fringe. Green Metallic Scarf. 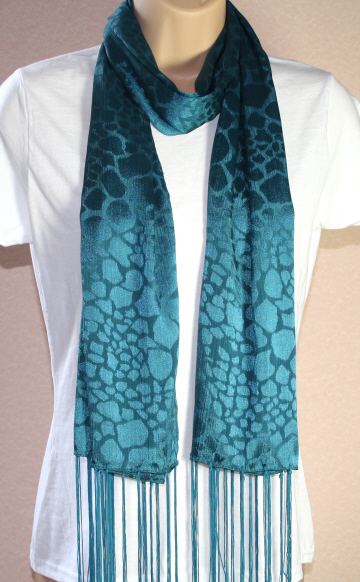 A pale green metallic scarf with a light snake skin design. A short fringe with green and silver threads. Length approx 70". Mint Green Striped Scarf. A very adaptable mint green scarf in greens and turquoises of varying shades.